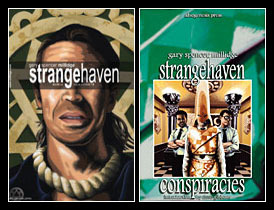 Issue 18 of Gary Spencer Millidge's Strangehaven is out on the 21st of September with the fourth third trade paperback of the series "Conspiracies" (collecting issues 13-18) to follow shortly after. Surely that's the 3rd volume? I am the king of misinformation.